The Primary Programme of Study for Geography states that ‘a high-quality geography education should inspire in pupils a curiosity and fascination about the world and its people that will remain with [children] for the rest of their lives’. 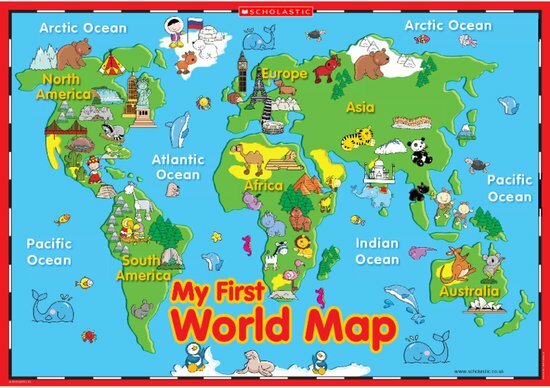 This beautifully illustrated first world map is the perfect way to start children off on this journey. Encourage children to look closely at the native animals and landmarks from each continent. Do they recognise all of them? Or are there some that you could explore further as a class?